We can't give you a quote from Chaddy Jeanne Removal Services , but we have hundreds of drivers waiting to offer you a great price. Have a question for Chaddy Jeanne Removal Services ? No problem, send them a message and they'll email you back as soon as possible. If you have a more general question you might find it answered in the FAQ, or you always contact one of our brilliant customer service team. * Chaddy Jeanne Removal Services won't be able to see your email address. 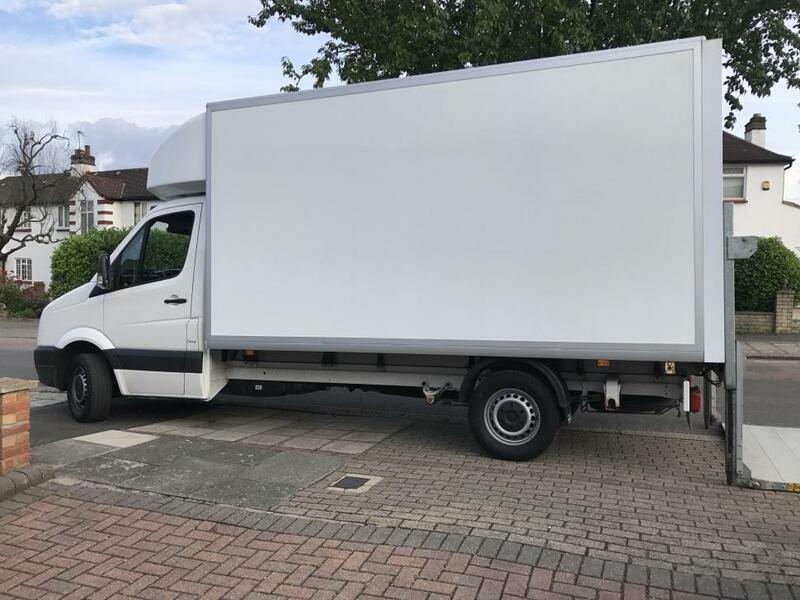 Hello we have Large & Two Luton Vans available for you, One Luton Van does come with a Tail lift. By Selecting and agreeing to NO help needed, this means that the customer will load the van from start to finish. Moving items around can be both risky for the customer and other people such as pedestrians and other nearby parked cars. By selecting No Help Needed, you are agreeing that you will be liable for any damages occurred by you to vehicle(s) and /or pedestrians. We will not be able to step in should adverses situations occurring you choose NO Help Needed. We have public and liability insurance that covers our member of staff only. It is now mandatory to book for driver and helper if you have more than two flights of stair. Whether or not you have people to help in the other hand, we now require customers to select two people instead of one person due to the nature of the job we do. As a registered company, we are able to take card payments and bank transfer as well as cash payment. 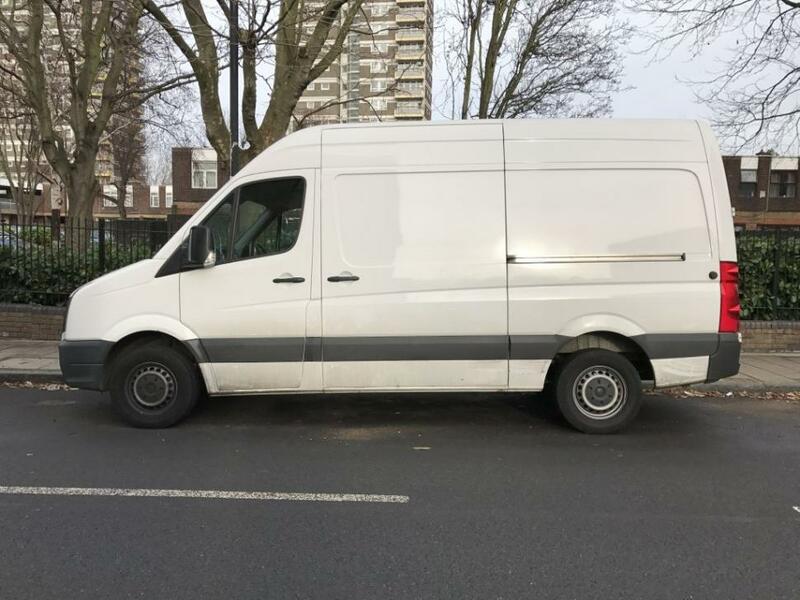 We work in partnership with Compare the man and van, in some circumstances compare the man and van will take the full payment or part payment depending on the customer'a choice at the time of booking. Any remaing balance to pay, should be either be paid by card or cash to the driver or bank transfer or direct debit by calling the company directly. Any overtime incurred from the removal should be paid to the driver before departure time. Failure to pay for this, will incur surcharge and overdue payments fees up to £8 a day or £56 a week in addition to the final overdue balance. The overdue payment continue to roll on a daily basis and the customer will be liable to make a full payment including overdue charges. By booking with us, you agree to these terms and conditions. You may be contacted by us for feedback about your removal experience. Please be honest to highlight issues needing improvement and/or adjustment. We take feedback very seriously because it is key to better service, so please do not be reluctant to provide us with one. Chaddy was fantastic, he turned up early to the house so we managed to get on the road sooner than expected, he had everything necessary to load all the furniture safely onto the van and it was all strapped down so that nothing moved around during the journey. He even beat us to the destination! Really happy that our move was smooth & stress free. Highly recommended. I was charged with congestion charge, after the driver was late for 1.5hour, which was fine. But i wasn't aware that even by choosing to have the driver help me move, would mean i had to be the one moving. If i could move all those stuffs i wouldn't opt to pay for your service already. The driver asked me to wait downstair as he alone moved the boxes down the stairs, only to then complain to their company about me letting him do the work alone. I completely did not understand why he couldn't communicate with me in the first place. Otherwise everything else all good, manner wise --alright. But i certainly will not choose this company again. Chaddy had delivered a pleasent moving experience, and was extreamly helpful with brilliant cutomer service skills. He had all the right tools and a great vehicle. I would give ten stars if there was an option! Excellent service, lovely guys - wouldn't hesitate to get them again! The driver was very punctual. Very good service. Will definately recommend. Clean van, good quality, exactly what was advertised, great price and lovley driver. Would highly recommend! The driver on the day was very good, and kept me informed of the slight delay. But, I was not happy that Compare the Man&Van changed my driver at the last minute, after my order was confirmed a month ago. Chaddy was brilliant, very good at what he does and really polite throughout the whole move. Would definitely recommend him and use him again. I was really impressed with the service, I will definitely recommend the company to anyone. He got stuck in traffic but arrived almost on time and was helpful and polite. Chaddy was brilliant. Helped with really heavy boxes and lovely to chat to. Highly recommended! Really helpful and helped me to loaded stuffs. Even he did late for 5 mins, but he did call me and tell me before he come. Excellent speedy move with the help of the driver. Im very happy with Chaddy and recommend hin to anyone!! My t.v. was accidentally damaged but the driver was insured so I am going to claim for a new one as the tv was only 10 months old. The driver took the damaged one away. But other than that I was very pleased with the service.